As discussed in recent classes, the JCCC Aikikai is trying to raise money for our 50th-anniversary celebrations, in 2019. 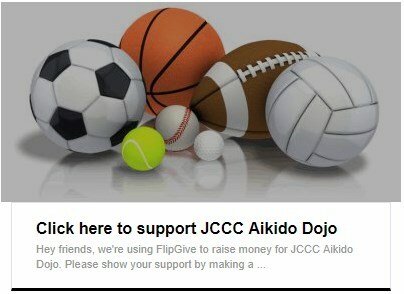 To facilitate this we have established a team on “Flipgive” (a web-based fundraising platform) and would request that anyone thinking of making on-line purchases (for instance through Amazon) consider joining Flipgive, which will help us earn funds that the JCCC Aikikai Dojo can use towards our celebration. If you have any questions please talk to any instructor, Thomas, or Ilia, and they will try to explain further.